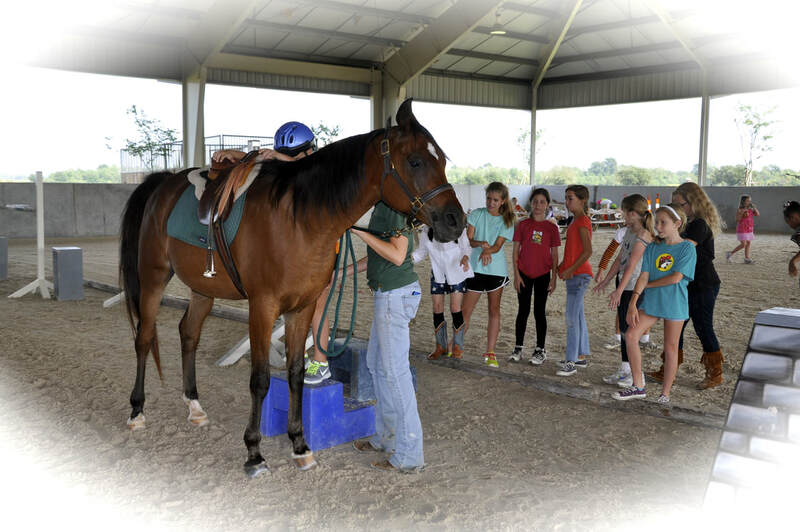 CELEBRATE YOUR CHILD'S BIRTHDAY PARTY WITH A LITTLE EQUESTRIAN MAGIC! We have a variety of options to meet your needs. Let us host your next dream party. Our Pony Party coordinator, Amelia Stratman or Kealy Stelly, will help you plan the perfect party! Call today! It will never rain on your child's party because of our covered arena. 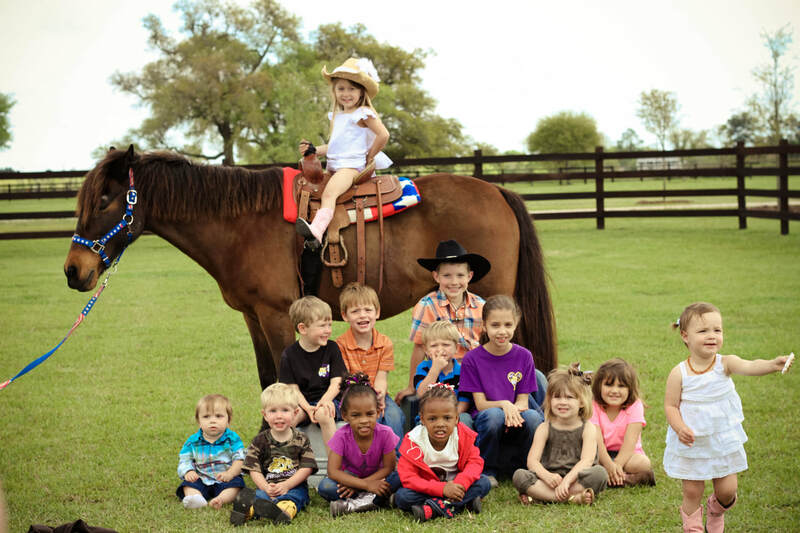 When booking a pony party in advance, your biggest fear is that the day of your event, your child's pony party gets rained out. At Le Bocage, we guarantee that won't happen. Your child's event can be hosted under a covered arena. You will love that rain and the hot sun won't dampen the excitement that your child's guests will experience. Up to 20 Children Included. $20.00 for Each Additional Child. Half Down to Reserve Date and Time. Balance Due 1 Week Prior to Party.